We help corporations look less corporate. Between strict branding guidelines, getting things approved by legal, or trying to utilize your already overwhelmed internal marketing team, meeting an insane project deadline may seem out of the question. On top of all of that, you need a new set of eyes to reimagine your vision with a fresh, innovative approach. It can be hard to think outside of the box when you are inside of it. As Millennials, we provide a modern approach to each project, creating a fresh new look that is still on brand. Creative Juice can help your department develop high-quality materials with a quick turnaround. 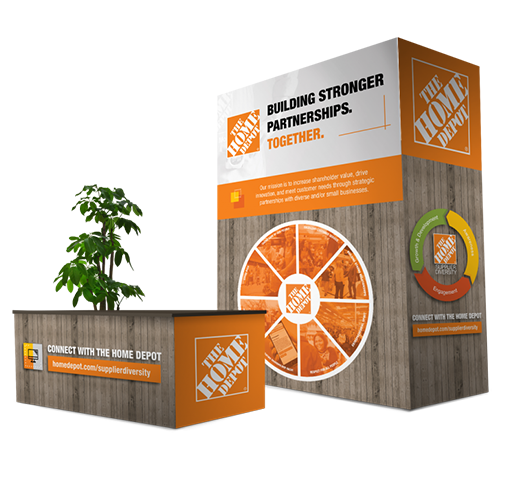 With a dedicated project manager and account manager, you’ll have two designated points of contact. This highly-personal approach infuses the right ingredients to create a resource your entire department can use. We would love to add some creative juice to your project. 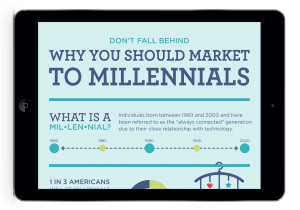 Click here to download our FREE infographic: Why You Should Market to Millennials. Contact us today for a free consultation. We would love to help you filter through the pulp to discover how we can refresh your marketing materials.